Rolling Forecasts – budgeting nirvana? If you search the World Wide Web for forecasting software you get over 16 million hits. A brief review of the first few Google pages suggests what a huge field this is; high on the list is sales and inventory forecasting software, and a good smattering of these companies appear in the paid ads that Google pushes to the top of the search results. 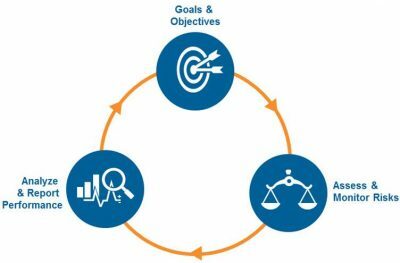 These programmes offer demand control processes to improve customer satisfaction, which sounds like predictive software perhaps based on heuristic algorithms. Many of the forecasting programmes are based on Excel, the language of business, which is fine, but……. Good forecasting software steers clear of the dangers recently reported by the Daily Telegraph: Almost one in five large businesses have suffered financial losses as a result of errors in spreadsheets. The article warns of looming financial disasters as, it claims, 71 per cent of large British businesses always use spreadsheets for key financial decisions. And ZDNet, the business technology news website published by CBS Interactive, went further, claiming that research has found that up to 90 percent of all spreadsheets have errors that affect their results. “Firstly, many accountants can only think or visualise the double entries in T form. This would be challenging for them as Excel does not come with debit and credit sides on the same pane, and you have to move around the multiple worksheets up and down or back and forth. Secondly, a lot of accountants are not good at spreadsheet planning, manipulation and presentation skills. They tend to struggle if there are too many variables and assumptions in the forecast, and spend too much time in dealing with any changes in the forecast. Therefore, many accountants resort to using the ready made forecasting softwares off the shelves. Ideally, accountants produce annual forecast with monthly breaks, thereafter inputting their entity’s actual results to produce variance analyses – comparing actual outcomes for the period with budget figures, on a monthly or quarterly basis as well as for the year to date. Period by period, this creates a “rolling forecast”, an ongoing cycle of planning, conducting, evaluating and updating organization-wide operations; it’s a very powerful tool in the financial director’s armoury! In fact, the Institute of Chartered Accountants in England and Wales (ICAEW) said: “There seems to be little doubt that the concept of rolling forecasts has captured management attention. 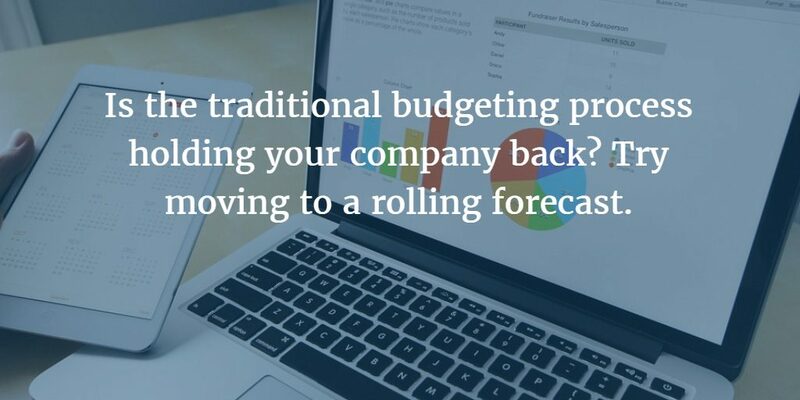 In one survey of budgeting practice in UK corporations, 40% of the finance managers who responded had already implemented a rolling forecast or were giving it some careful thought. “Forecasts are a quantum leap from annual budgets that act as a barrier to fast response. On the one hand, budgets and their periodic revisions focus on the forthcoming year-end; managers use them to take whatever action is required to achieve agreed-on targets. With its rolling forecasts, Forecast 5 provides accountants with just this strategic “moving window of the future”. Producing an integrated suite of Profit and Loss, Balance Sheet, Cashflow and FundsFlow reports at a touch of a button, Forecast 5 integrates directly with Sage50 and Xero, with further ERP integrations such Sage200 under development. Consolidations, multi-currency, departments, wages modelling with NI and PAYE, manufacturing and stockmade, KPIs, hotlinks, auto-calculated fixed assets, depreciation, and auto-calculated loans, VAT per record, stock and / or trade debtor factoring and many other features are part of the delivery. Working across networks, Forecast 5 can be extended for up to fifteen years. Developed by New Zealand Chartered Accountant Geof Nightingale, previously his country’s Winforecast national distributor, Forecast 5 was specifically produced to replace Winforecast when it was discontinued by Sage.